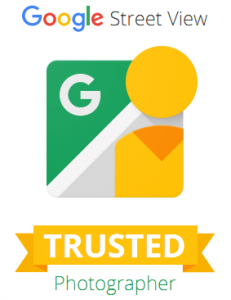 Circle View is a team of Google Trusted Photographers, which means that we specialize in taking interactive, 360 degree, panoramic photos of businesses. We are available to create virtual tours of any business in the DC, MD, or VA area, and have occasionally traveled to other states for projects. We have created virtual tours for dozens of businesses, including restaurants like Chima Steakhouse, Joe’s Place Pizza & Pasta, and the Original Pancake House, as well as a wide variety of other businesses, including dental offices, barber shops, Tae Kwon Do studios, and most recently an elementary school. If you are a business owner and you are interested in having me create a virtual tour of your store, please call us (202.577.3350) or email will@circleviewphotos.com to setup a shoot.